The new year is here. It’s time for new goals and new changes. If one of your goals is to find way to organize your home is a stylish way, I have some ideas for you! These are just a few things I found while searching the web, you can look up plenty more ideas that pertain to your exact area of organizing. I have listed the materials needed for each project, click the link for full instructions. 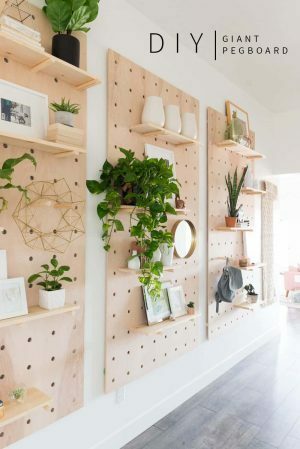 This peg board wall treatment is perfect for any house! The wooden pegs are interchangeable you can mix, match, and customize to your hearts content. 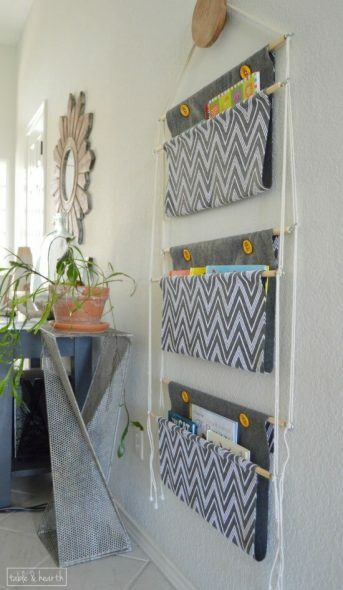 This is a cute and simple way to store books. It takes up minimal room and would be perfect for a kid’s room. If you love blankets, but are tired of them being thrown around the house, this blanket ladder is a smart way to organize your throws. 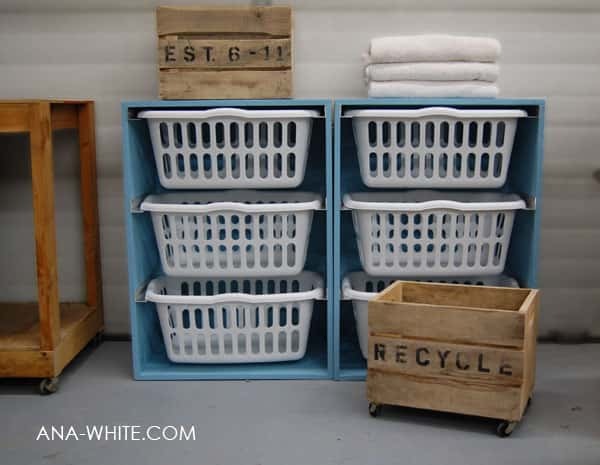 This Laundry Basket Dresser can take your laundry room from the messiest room in your home to the tidiest. 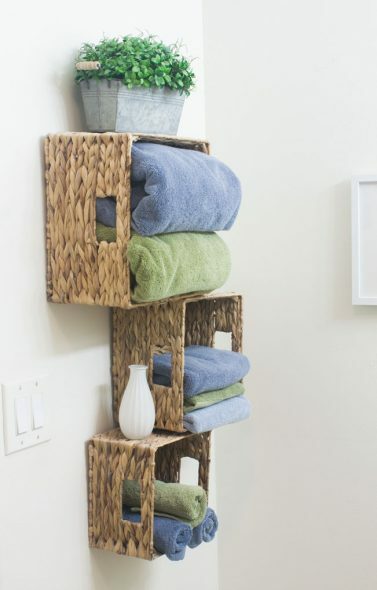 This idea is great for small bathroom with zero storage. 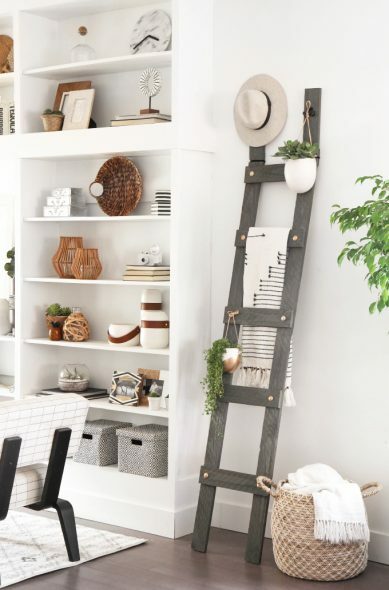 Simply take baskets and use some screw anchors and large screws to mount them through the baskets and to the wall. Voila!